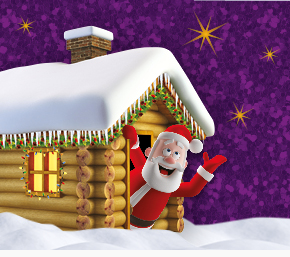 Come and meet Santa in his magical grotto at Squire’s Garden Centres and receive an early Christmas present! As well as seeing your child’s face light when they see Santa and receive a beautiful wrapped gift, you’ll also get a warm glow, as you’ll be benefitting a local charity. Tickets cost £6 per child, with £1 from every ticket being donated to Squire’s local charities. Santa’s grotto is open every Saturday and Sunday as well as Christmas Eve, plus the week before Christmas at selected centres. There’s no need to book, simply turn up on the day – but don’t come between 1-2pm as Santa will be feeding his reindeer! * Squire’s Frensham – As well as weekends and Christmas Eve, Santa’s grotto is open every Wednesday, Thursday and Friday in December. You can also have breakfast with Santa at Squire’s in Frensham every weekend in December plus on Christmas Eve! Tickets are £12 per child and £8 per adult. See website for details.